Ty Bollinger: We know vaccines are a hot topic but it’s a conversation that America really needs to start having now. As parents, we feel responsible for educating other parents about the dangers of vaccines. Charlene Bollinger: The pharmaceutical industry has been killing and harming the youngest of our beautiful nation. And it’s us, the parents, who blindly line them up for the vaccines, shot after shot. Join our good friend Del for a very informative presentation that challenges the myths with science. Get ready folks because that is going to come crashing down right now. I want to start out with a study that just came out this year in January of 2017. This is a study out of Guinea-Bissau, Africa. Now, the lead doctor on this, a man named Aaby, is famous for being involved in the vaccine programs in the third world, and especially in Africa. So, he decided to go back and look at a DTP program. This is the diphtheria, tetanus, pertussis program that they had in Africa that happened 30 years ago. And the reason that he decided to look at this group of kids in this specific area of Africa was because a quirk in the way that they had rolled out the vaccine. It actually created something that those of us that are considered vaccine skeptics have been wanting for a very long time. And that is a vaxxed versus an unvaxxed study. Well because of the age groups and the reach that they had and how they got to the different communities, they ended up having half the kids from 3-6 months get the DTP vaccine and then the other half did not get it. So, he was able to retrospectively look back 30 years ago to say, “What was the health outcome of that program?” And what he found was startling. 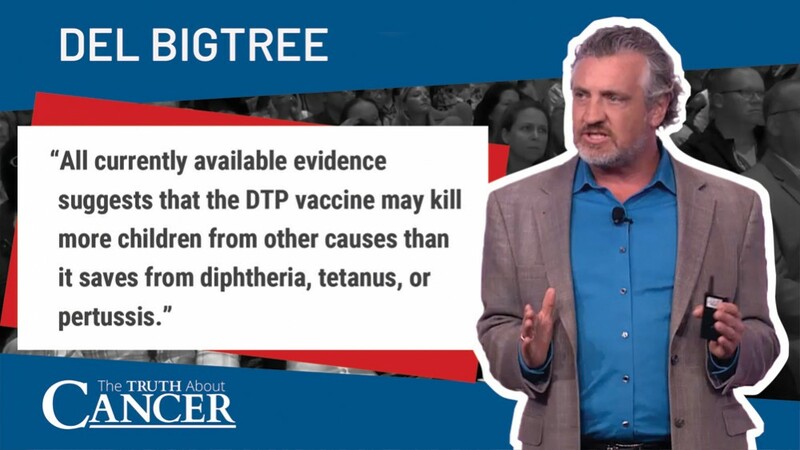 All currently available evidence suggests that the DTP vaccine may kill more children from other causes than it saves from diphtheria, tetanus, or pertussis. Ten times the amount of death in the children that got the DTP vaccine versus those who did not get it. Now, they did not die of diphtheria. They didn’t die of tetanus and they didn’t die of pertussis. They died of all other issues. They were getting fevers. They were having seizures. They were getting sick from malaria and all sorts of things. And the conclusion was that though this vaccine may have protected against diphtheria, tetanus and pertussis, it weakened their immune system and made them so they were vulnerable to die from other diseases. So, the question we have to ask ourselves in the United States of America is, do we have any sort of surveillance program in the 16 vaccines, 72 doses given to our children by the time they are 18 years old now… Is there any surveillance system that would catch if this was happening to our kids? Is there a vaccine in our program that could be destroying the lives of children and we wouldn’t know it? That is the job of our health departments. And the question is, is it happening? Do you think it’s safe? Do you think they are watching out for something like this? Because only this year do we know that for the last 30 years we have been poisoning children around the world in third-world nations with a DTP vaccine, a vaccine that, by the way, we don’t use because it’s too dangerous. Now what I want you to look at is this list here. These are a list of adverse events from vaccines. The top list are different issues that have been paid out by our vaccine court. In this, people have won and been paid for these damages to their children and themselves. The lower list is what’s written on the vaccine inserts themselves. These are diseases that the industry itself knows the vaccine causes, and so they put a little disclaimer wrapped around the bottle that you never see. Now, what I want you to look at is what we know is true about our society today. We are now at one in six children that have a developmental disability. And if you look at this list, many of these are the things that were on the previous list, adverse events that the industry knows about. We know that 54% of children in America now have a chronic illness. Again, a list of diseases and issues that we saw on the previous list either wrapped around the vaccine or paid out in court. Yet they will say that none of these things, none of these rises in illness have anything to do with the vaccines. But think about this: there are mothers being thrown in jail, I believe it was yesterday, for not vaccinating their child. Now the judge that threw that mother in jail probably needed less than 11 vaccines, which is what was required by 1986, to be compliant with the American Vaccine Schedule. But now the child of a woman like that has to get 53 vaccines in 2017. What happened? Why has science changed? If it was settled in 1986, why do we need 53 in 2017? Why does this list keep growing if in fact the science is settled? Why are we all of different compliance levels and why would anyone be in jail for sticking with the level of vaccines that they had when they were kids? And if you look at that they are coterminous. The rise in vaccines goes along with the rise in childhood illnesses. Charlene Bollinger: We hope you’ve learned a lot from this video. If you learned something new, please take a few seconds to let us know in the comments section below. Ty Bollinger: And stay tuned for upcoming The Truth About Cancer Live Events and free broadcasts of our documentary films! Del Bigtree was an Emmy Award-winning producer on the daytime talk show The Doctors, for six years. 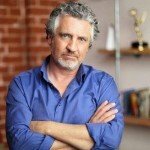 With a background both as a filmmaker and an investigative medical journalist, he is best known for combining visually impactful imagery, raw emotional interviews, and unbiased investigative research into stories that push the envelope of daytime television.More recently, Bigtree produced the powerful documentary Vaxxed, which interviews parents of vaccine-injured children, seeks to expose CDC fraud, and demands safety studies be conducted on all vaccines. I m with u buddy ,the children especially need protection.If the good people of this world ban together,we can right some wrongs one at a time.you have my signature on your petition.. Thank you so much for the awareness you bring to the public! My 2 boys have different learning disabilities that clearly started right after MMR vaccine. And I didn’t want to vaccinate them at all in the first place for the immunity reasons, I had no idea about autism at the time, but it was quickly explained to me “how the things are”. I often repost info about vaccines on my FB page, so I’ve got bullied so much for it, that at some point I even got clinically depressed. Somebody made a comment on my page, that her niece have died after being vaccinated and for that comment she’s got bullied too. Now my older son is 12 and he keeps showing me this Youtube videos that make fun of “anti-vaxxers” definitely directed at the young audience and made by young people. He believes THEM not me. Very frustrating. Maybe you could make some silly cartoons for the cause and post them out there? That’s so sad! People are cruel. I don’t smash either side but continue to educate myself. Most people don’t do that. I feel bad for the decisions people have to make about this now. My kids are 18 and 20. There was no debate back then. You vaccinated…..I wish I knew then what I know now but I can’t look back. I can only move forward and continue to learn and pray the science continues. I’ve learned of an amazing biotech company that has changed my families health and so many others. Natural Nrf2 activation…healing the body on a cellular level…not supplementing(real peer reviewed science on a natural product…unheard of). 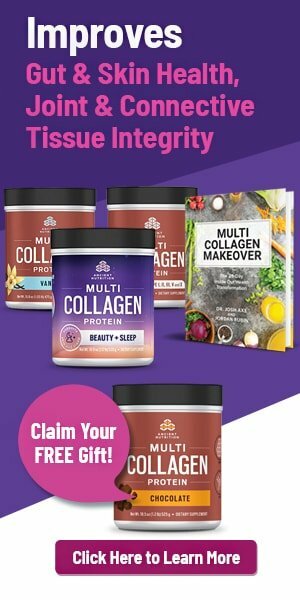 If you want to learn more, let me know. The damage can be fixed. Thank you TY and Charlene! I am thankful for the amazing work you do! As a young mom i didnt question the Dr.s when i was told my children needed vaccines. Because of your docu- series I learned the truth and try to tell others. I feel passionate about this and I want to get involved on spreading awareness. Thank you for all you do! Thank you so much for being with us! We are glad that you have been learning so much from our videos and articles. My son has a few medical problems and one of those is acute aspergers and I have always wondered if the link was with his childhood immunisation (autism ). This topic alone is so controversial and I agree….why so MANY now??? I’m 47 and we very rarely heard about ADD or all these other conditions kids seem to have in the past 20 years. Not to mention the high cancer rates…..why? Just look at the chemicals the FDA allows in our food too!! That’s another crisis we have to look at. Bottom line, we have to advocate for our own health! The system is broken. Do your research…. If you don’t recognize an ingredient…your body won’t either! Praying these studies continue so we can make educated decisions about what’s best for our health! Thanks so much for sharing your thoughts with us, Deanna!